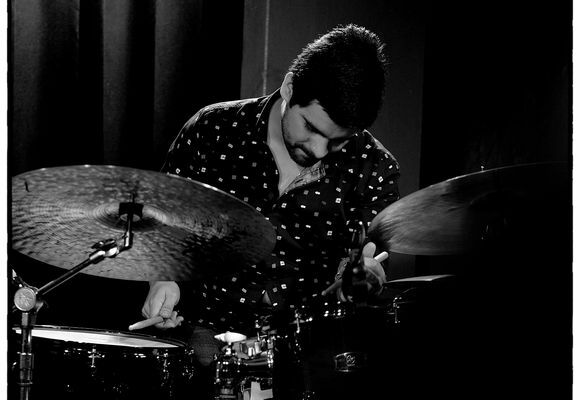 Born in Santiago de Chile, Rodrigo Recabarren has been widely recognized as one of the leaders the best generation of Jazz performers in Chile. Press, professors and peers agree on his extraordinary abilities and praise his work. In 2009 Rodrigo moves to New York City and starts his career in the United States where he has performed or recorded with important artists as: Kenny Barron, Miguel Zenon, Guillermo Klein, Kenny Werner, Wayne Krantz, Seamus Blake, Matt Pavolka, Brad Shepik, Gilad Hekselman, Angel Parra, Melissa Aldana, Camila Meza, Rotem Sivan, Jeff Miles, and Peter Slavov among many others. Rodrigo has performed in Europe, the United States, Asia and Latin-America in prestigious venues like the Blue Note and Jazz at Lincoln Center, among many others in New York City, as well as festivals and venues in countries worldwide. He endorses Vic Firth Sticks, Zildjian Cymbals and Overtone Labs. As a bandleader, Rodrigo brings to life many projects that have toured the world. A few of them are Mural”(www.muralmusic.com), “Beekman”(www.beekmanmusic.com), “Peregrinos”(www.peregrinos.co), and “Novas trio” (www.novastrio.com). In 2012 filmmaker Eduardo Pavez Goye filmed a documentary around Rodrigo in New York called “El Parque de los prospectos”, this documentary was selected and screened in the official selection of the 2012 version of the “In-Edit” Music Film Festival in Chile.